If you’re like most homeowners, you’ve probably spent hours scrolling through photos of luxurious marble islands, but just can’t bring yourself to add up the cost of a renovation. When done right, an updated kitchen can have a huge impact on your daily quality of life. It can be a space that invites more family time and helps you relax even when dinner is late and the kids are starving. It is important to plan ahead to make sure your time, energy, and money will be well spent. 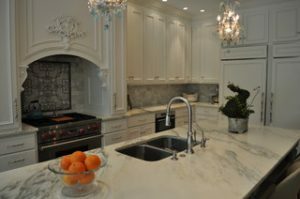 How do I find a kitchen remodeling contractor? 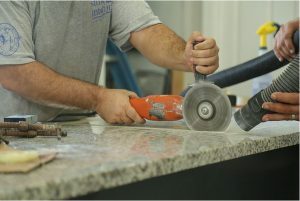 Most experienced contractors will have a professional affiliation, such as being a member of the National Kitchen and Bath Association or Natural Stone Institute. 2. If possible, partner with a company you already know and trust. Chances are, someone has helped you with smaller home improvement projects in the past. If you’ve already worked with a local company, even if it was for something specific like flooring or countertop fabrication, get in touch and ask if they can recommend a general contractor. Their honest opinion could end up saving you thousands of dollars (and headaches). 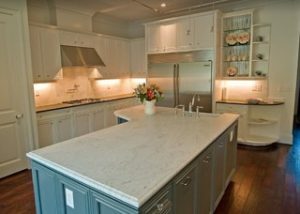 How should I put together a kitchen remodeling budget? Photo by Stone Interiors LLC. Choose one or two larger aspects of your kitchen remodel (such as flooring, countertops, or cabinets) that matter most to you. Everyone has different opinions of this, so think about the changes that will have the biggest effect on your daily life, from aesthetics to functionality. Start choosing your materials and researching installation professionals early in the process. This way, you can compromise on pricing for smaller projects later, and still rest assured that you’re investing in the items that are most important to you and your family. 2. Partner with your stone fabricator early on. 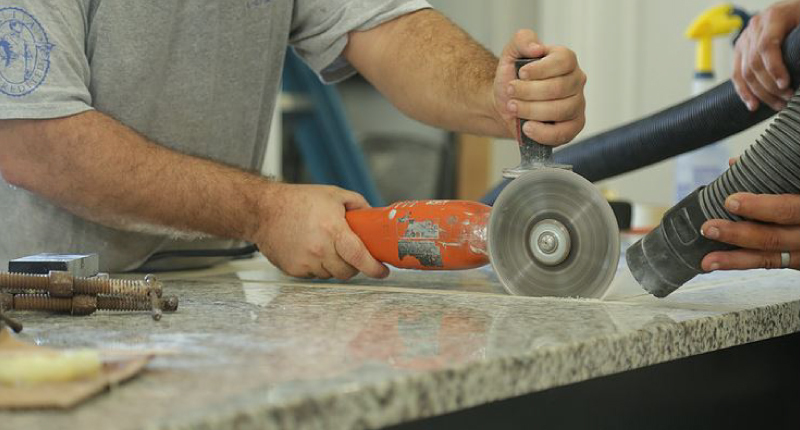 Most kitchen remodels involve new countertops, a new kitchen island, or both. 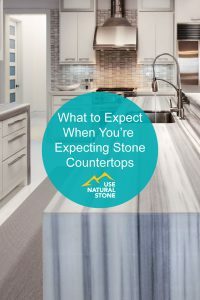 It’s easy to start a Pinterest board and choose your favorite colors and styles, but there are a range of factors that will affect the look and cost of your countertops, including material type, slab size, and entrance sizes. 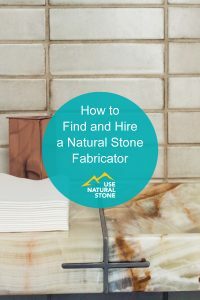 Find a stone fabricator you trust before you even start renovating. Talk to them about your plans, and invite them to check out the space so they can identify any challenges you might run into later on. 3. Track your expenses in a spreadsheet. Once you know pricing for the high dollar items, materials, and installation costs, you can start planning your overall budget. List it all out in a spreadsheet to help you plan, and allow for an extra 5% so you’re prepared for any unexpected issues that might arise. 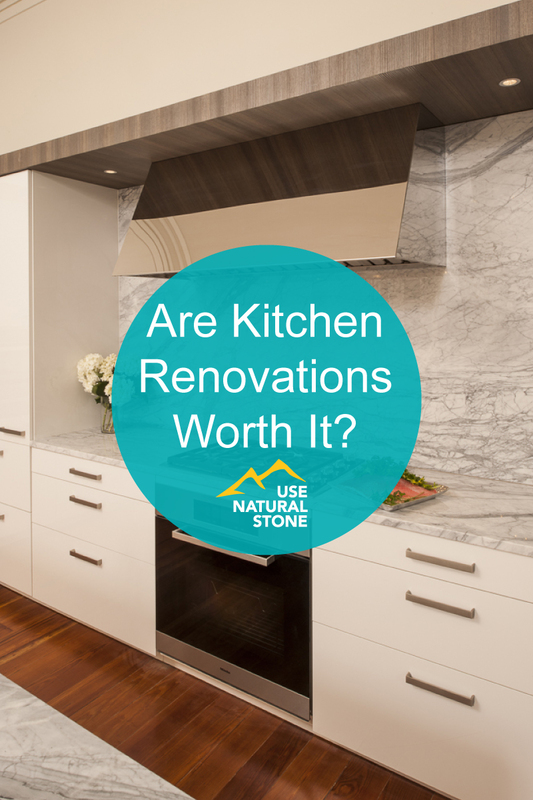 What are the benefits of renovating my kitchen? 1. Higher resale value on your home. 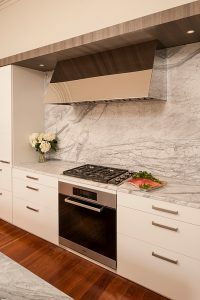 It’s common knowledge that a modern kitchen is one of the first things prospective homeowners consider when purchasing. The good news is that even relatively small kitchen renovations ($15,000 and under) can increase the purchase price of your home. 2. Better quality of life. 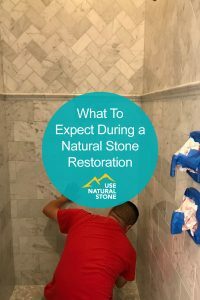 The monetary cost is important, but consider the benefits of a renovation that don’t come with a dollar value. Think about how much time you spend getting dinner ready, pouring a few glasses of wine with the neighbors, or having an after-school snack with the kids. If you and your family feel more content walking into a space with sturdy new cabinets and countertops, then that in itself makes a renovation a worthy investment. Once you set your budget and choose your key partners, the whole project will become much more manageable.